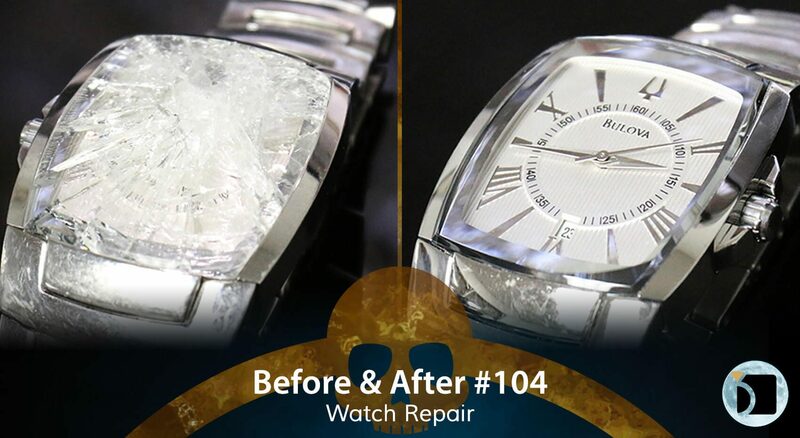 On this edition of the Before & After, we have a Bulova Watch that had a completely shattered crystal. Due to the severe damage, crystal fragments were caught in the movement which meant a movement replacement was required. Luckily, the dial and hands were not damaged and simply needed to be professionally cleaned. It is then wrapped up with our WOSTEP certified Clean and Polish service.